Mmm....jerky! 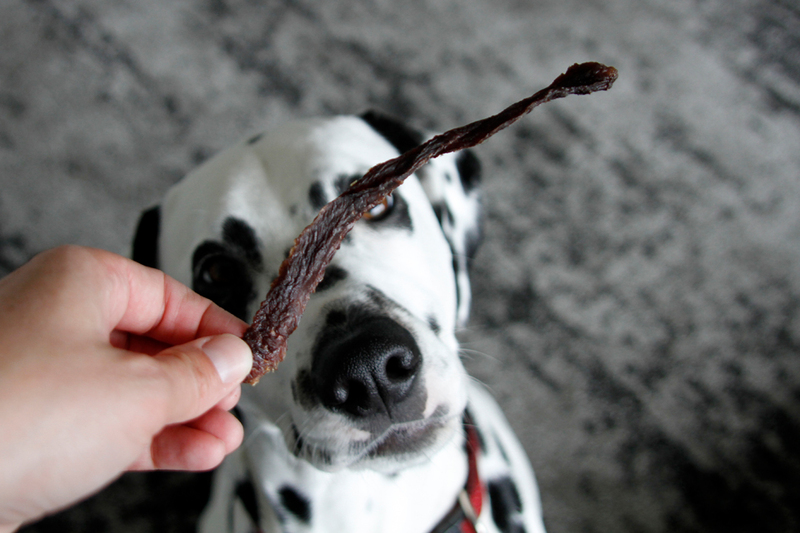 It's so doggone irresistible to our boys, yet homemade dog jerky treats are super simple to make and are a healthy treat option. Perfect! It also happens to be one of the few homemade treats that our very picky senior cat is keen to share with his dog brothers. For simple DIY dog jerky treats there is absolutely no need to marinate at all - straight up plain jerky is our go-to meaty treat - but by special reader request we're often asked about ideas for marinating so we've created two quick and easy lightly flavoured dog-friendly marinades to help get your kitchen creativity flowing. Here are the delicious details on the first marinade. 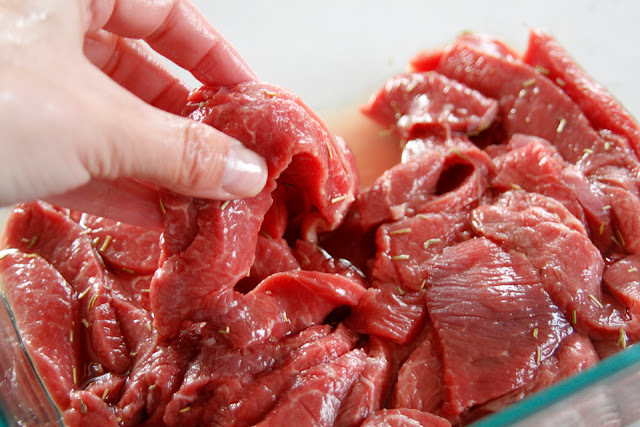 Marinating: Slice meat into thin strips or small pieces (see tips below), trimming off any excess fat if required. Place in a glass dish (or Ziploc bag, if you prefer). Combine the marinade ingredients and pour over the meat. Mix to ensure thoroughly coated. Cover the container and place in the refrigerator to marinate (4 hour recommended minimum and no longer than 24 hours) mixing periodically to ensure all the pieces get a nice bath in the marinade.